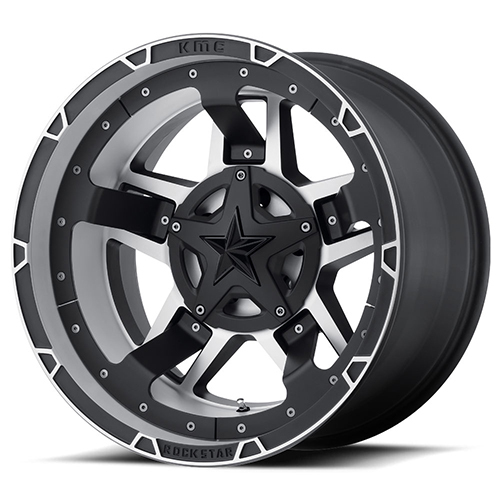 If you are looking for the best deal on the Rockstar by KMC Wheels XD827 Rockstar 3 Matte Black Machined With Black Accents 17x8 6x135 6x139.7 20 offset 106.25 hub wheels, All Star Motorsports is the place for you! We carry the Rockstar by KMC Wheels XD827 Rockstar 3 Matte Black Machined With Black Accents 17x8 6x135 6x139.7 20 offset 106.25 hub wheels in many different sizes and finishes and we have the best prices around. These wheels are made with the finest quality alloy and are built to suit your vehicles needs and exceed your expectations. Here at All Star Motorsports, every wheel is individually inspected and professionally packaged to ensure that the wheels get to your location damage free. All wheels are shipped free to your door within the continental U.S. and we even throw in a set of lug nuts at no cost.